The Aransas Pass Light Station on nearby St. Joseph's Island is a local landmark. The Port Aransas Marina offers great protection and a ton of services for boaters. 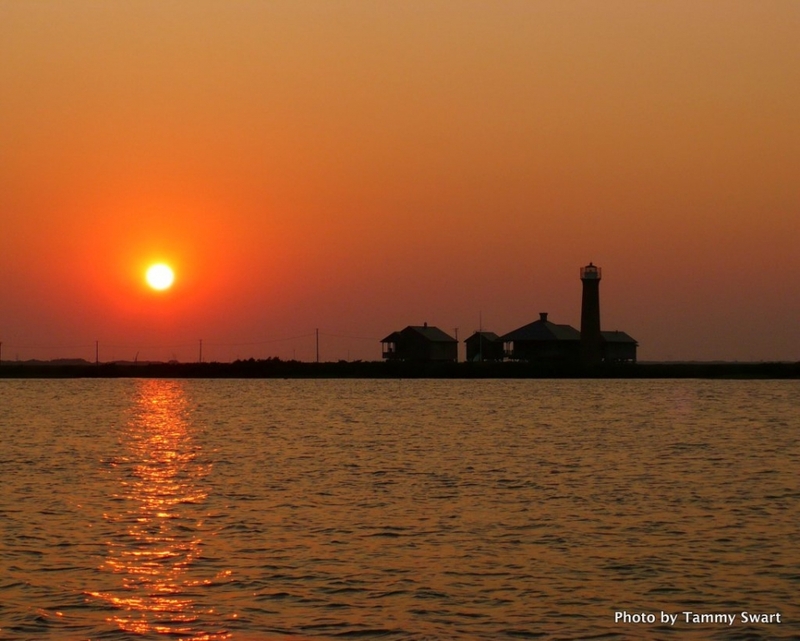 The City of Port A has it all for boaters wishing to spend a little or a lot of time. The City of Port Aransas Marina is just a short distance in from the Gulf of Mexico with a well-protected floating dock reserved for transients. There are no swells inside the marina and it is largely protected from wind but not to the extent that it's too hot. There are sightseeing and fishing charters to be had as well as a parasail boat that seems to get a lot of business. There are restaurants within walking distance from the marina. The city has a bus that runs regular loops around town and the drivers are friendly and informative. The bus can take you to the beach or to the IGA for provisions. There are several nature walks in the Port Aransas area, ask around. The IGA in town is small but has quite a good selection and the meat, produce and liquor prices are GREAT! The marina staff are friendly and you can buy ice during business hours. Credit cards are now accepted. Slips are available with water and electricity for boats up to 50 ft in length with some spots for larger boats. There are also fuel docks in the harbor.